Established in 1985, Heffernans Funeral Directors have earned a reputation for providing a professional and dignified service for bereaved families and their loved ones. Aidan and Niall, together with their team of qualified professionals, co-ordinate all aspects of the funeral arrangements in a personal, caring and professional manner. Our services are available 24 hours a day, seven days per week and our aim is to reduce significantly the anxiety and stress of the bereaved family. 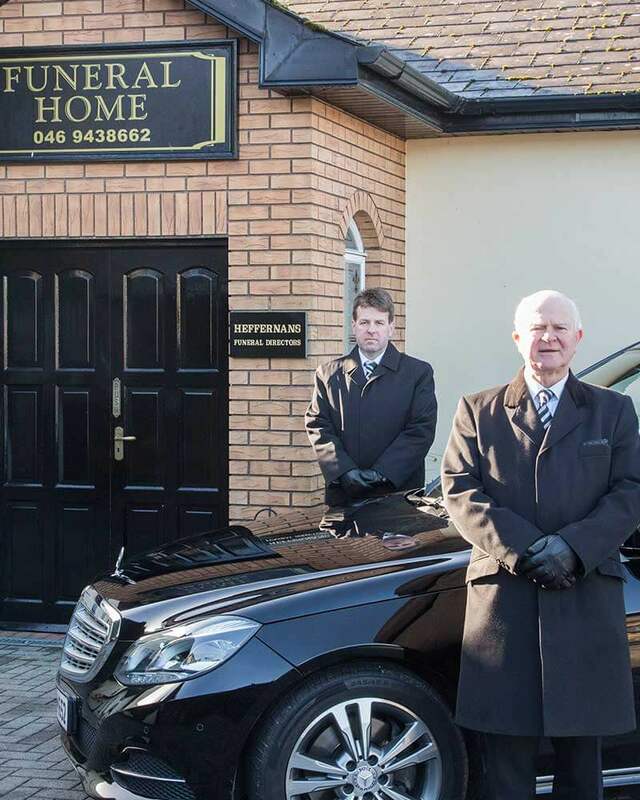 Our modern, spacious and comfortable Funeral Homes are located in Trim and Longwood Village, Co. Meath, and can accommodate large gatherings. From the moment we receive a call from the bereaved family, Heffernans Funeral Directors are there to assist and guide with every aspect of the arrangements, whether religious or civil, burial or cremation, with attention to even the smallest of details. We are members of the Irish Association of Funeral Directors (IAFD) which is the professional association for Funeral Directors throughout the island of Ireland. We adhere fully to the Code of Practice and Consumer Care Charter issued by the IAFD. so you can come to terms with your loss.